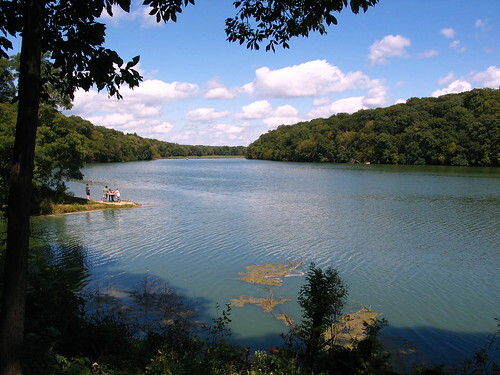 This is a photo from Pine Lake State Park in Hardin County, Iowa. It was really pretty in late August. Simon had a great time! (Except when he screamed). You can take a trail from one lake to the other and it's paved, which is sweet and also pretty important when you have a stroller. Awesome!